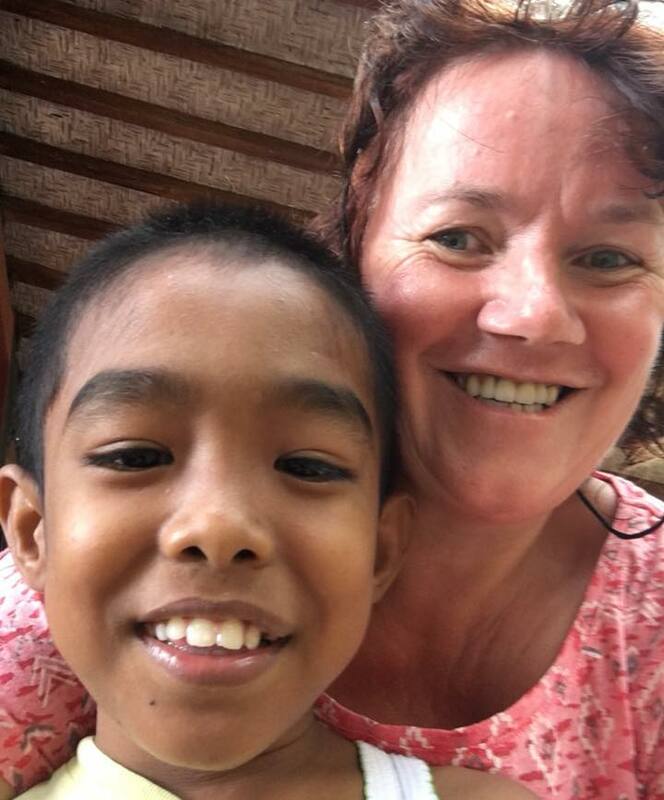 Tanja: “On Saturday, November 17th, I was allowed to share my story about the Learning Center Yayasan Widya Guna in Bedulu (Bali) with former students at the Response Institute in Roermond. More than 150 people who have all followed a course NLP or hypnose at this Institute came together for an inspiring day. It was very exciting for me, to speak in front of such a large group. But the story comes straight from my heart and that’s what I kept in mind the days before the presentation. I took the audience into the world of Gung Krishna. A 10-year old boy who’s parents are deceased and who is taken care of at the Learning Center Yayasan Widya Guna. Diagnosis unknown, behavior ranging from very sweet and affectionate, to very cros and challenging. A real challenge for the team of the Yayasan. I feel a special connection with him and we spend a lot of time together. For example feeding the cow, working in the garden or just sit together and be quiet. He lives with his grandmother and fortunately we found co-sponsors for him who make sure he gets the financial support that he needs. It had been my mantra for years: “If I’ll ever happen to be somewhere close to Indonesia, I’ll go and visit Dita.” Dita is the 15-year old girl I have been sponsoring since 2014. And although I didn’t quite expect myself to be ‘close to Indonesia’ any time soon, I kept dreaming of visiting Dita and her family. However, a few times in one’s life, dreams do come true. Somewhere in spring 2018, my boyfriend Koen and I made plans for a road trip in Australia. The exhausting, unattractive 20-hour flight between Amsterdam and Cairns turned out to be the perfect excuse for a stopover in Bali to meet Dita. Finally, after all these years and after the approximately 150 e-mails we exchanged since my sponsoring started. A little bit of background information: 150 e-mails, that’s probably more correspondence than average, but I must admit Dita and I have become real pen pals. Her English is great, and her curiosity to learn about other cultures is huge. What we always write about? Well, our day-to-day businesses, basically. We update each other about school, work, our family, sport activities, mutual study plans… The normal things any other two friends on this planet would discuss, except this friendship is based on E-mail exchange instead of coffee dates. In October 2018, Koen and I finally boarded our plane to Indonesia to meet Dita in person. And I must admit: I felt a little nervous. Would the connection we have in our E-mails also exist in real life? What if we wouldn’t know what to talk about? What about our age and cultural differences? What if she wouldn’t like Koen? Yet the very moment the three of us met in person, my worries turned out to be complete nonsense. We hugged, exchanged gifts, started talking (did I tell you her English is great?!) and we didn’t stop chatting until the end of our visit two days later. 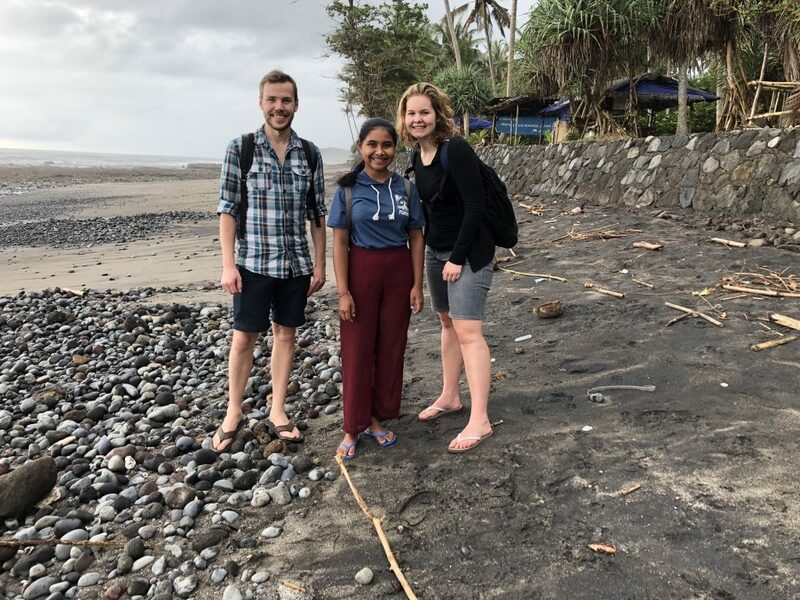 Thanks to the taxi we hired via the yayasan, Dita could show us around and show us her life: her school, her favorite hangout spots, the beach, her mum’s work, her grandma at the rice field… We asked her to be our tour guide and she did a great job. She even invited us to her house and her family, which was definitely the highlight of our trip. 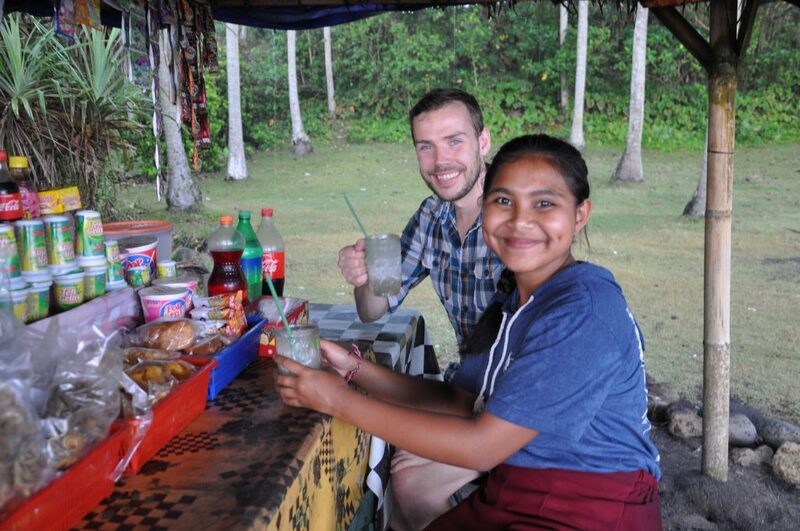 Her parents provided us snacks and drinks (coconut milk fresh from the tree! ), her grandparents joined in and Dita’s adorable younger sister Nopia (10) showed up too. 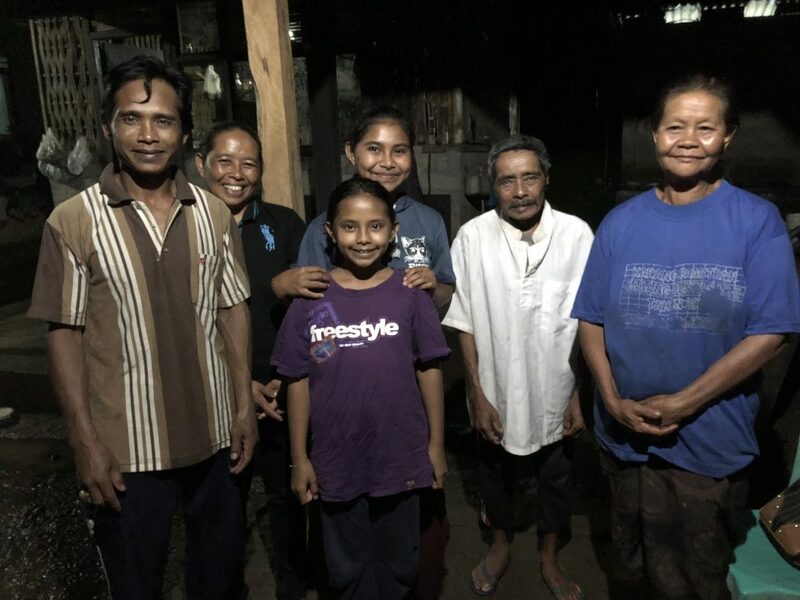 We also met Ibu Ketut, the manager of the yayasan in Samsaman (we stayed there overnight), the volunteers, and WINS’s local English teacher Intan. I’m really impressed by the enormous amount of work all of them do, day after day, with a smile, to help the children get the best out of themselves. Dita doesn’t only have a family at home, but one at the yayasan too. Our two-day visit felt like all the pieces of the puzzle finally fit together: I now haven’t only read about Dita’s life in her e-mails, but experienced it too. It makes her correspondence even more fun to read. More importantly, this look inside her life made me humble: Dita’s ambition, cheerfulness and perseverance are inspiring, especially considering her situation. And I’m really proud to call her my friend. On 24 June 2018 the 9th Duvelloop took place in Haarlem again. 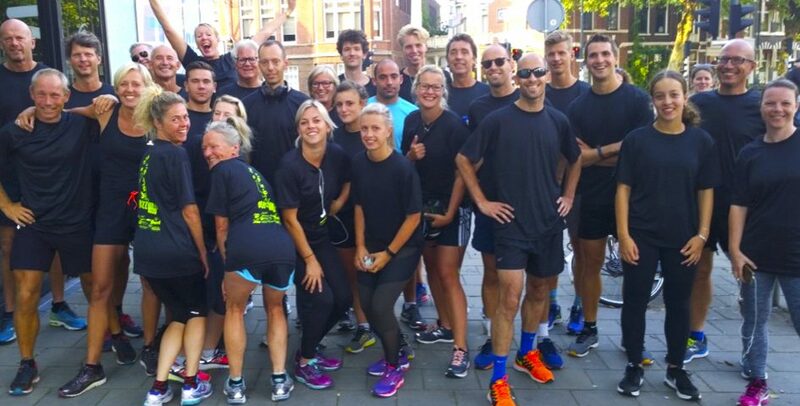 A hugely motivated group of runners ran for the WINS Foundation and together they raised € 1,050. This amount is used to build a classroom at the Learning Center Gunari Kumara in Sukawati, Bali. In the past 9 years the Duvel runners have already raised more than € 6,700, -, with which various projects at the various Learning Centers could be funded. Jelle Vogels, Duvel runner and volunteer for WINS children with a physical disability became 1st again. Many thanks to all Duvel runners and of course to the fantastic organization team Jan & Bea of ​​the Pol, Michel Castenmiller, Clemens Robers and Het Wapen van Bloemendaal. 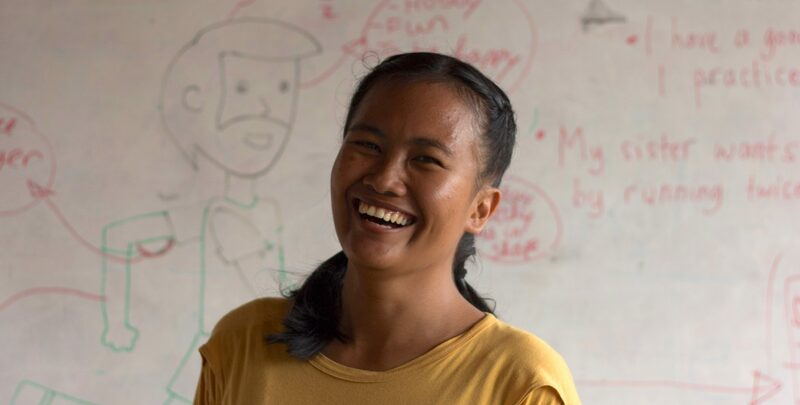 Intan Rastini is the local English teacher at the Learning Center in Samsaman, Bali. We asked her to write an introduction about herself. Her story about her life and background is very interesting and inspiring and gives a clear view on her work and activities with the children. We thank Intan for all her great work and for sharing her story with us. My name is Intan Putri Rastini. You may call me Intan. Intan is an Indonesian word which means ‘diamond.’ I am an Indonesian and proudly a Balinese. 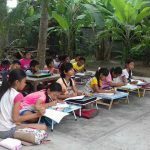 At Yayasan Eka Chita Pradnyan I am the only local teacher who teaches English to the children who come to the learning center at Samsaman Village after school. I believe providing education to others makes one become richer. I was born in Surabaya, Java, on February 11, 1991. 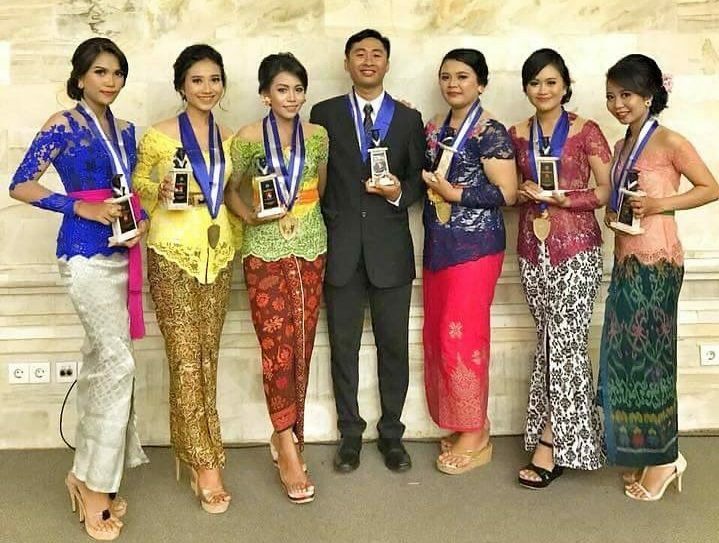 I grew up in Surabaya and my most recent formal education was training for work in the hospitality industry. Then I moved to Tabanan, Bali six years ago when I got married. Surabaya and Tabanan are very different. Surabaya is a big city, Indonesia’s second biggest city after Jakarta. Tabanan, in contrast, is a small region, not in geographical size but in development and population. I work as a homemaker and mother to my two preschool sons, Kalki and Kavin. My husband is a farmer like most of the men in our village. Angkah, where we live, is close to Samsaman, so it only takes me seven minutes to get to the learning center from home by scooter. These villages are linked by hilly roads surrounded by rice fields and farmlands producing coconuts, cacao, cloves and coffee. 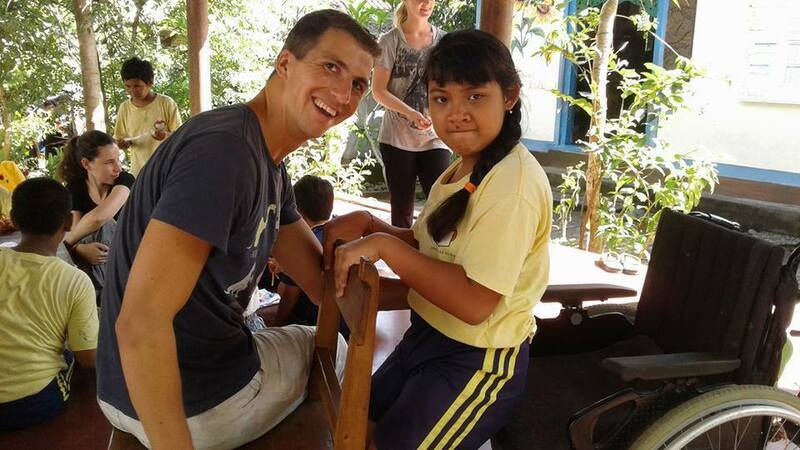 I have been teaching English at Yayasan Eka Chita Pradnyan for one year, since February 15, 2017. At that time I was looking for a job, and coincidentally saw the sign for Yayasan Eka Chita Pradnyan while out for a motorbike ride with my family. So the next day I decided to go there and apply for a job as an English teacher. When I visited the learning center for the first time, I met Ibu Ketut Sunarmi, the director, and Oma Trudy van der Maden, the founder. I also had the chance to meet Ibu Ketut’s son, Jon and nephew, Bery. I asked the two women if they needed an English teacher for the learning center. Because they didn’t have one at the time, they hired me to work there starting as soon as I could. Later I found out that the learning center also gets help from international volunteers. This means that sometimes I teach English alone, and at other times I teach collaboratively with volunteers from all over the world. My main duty is teaching English, but the volunteers have many other strengths. Beyond English, volunteers have also taught creativity, sports, computers, photography, health, environmental studies and much more! 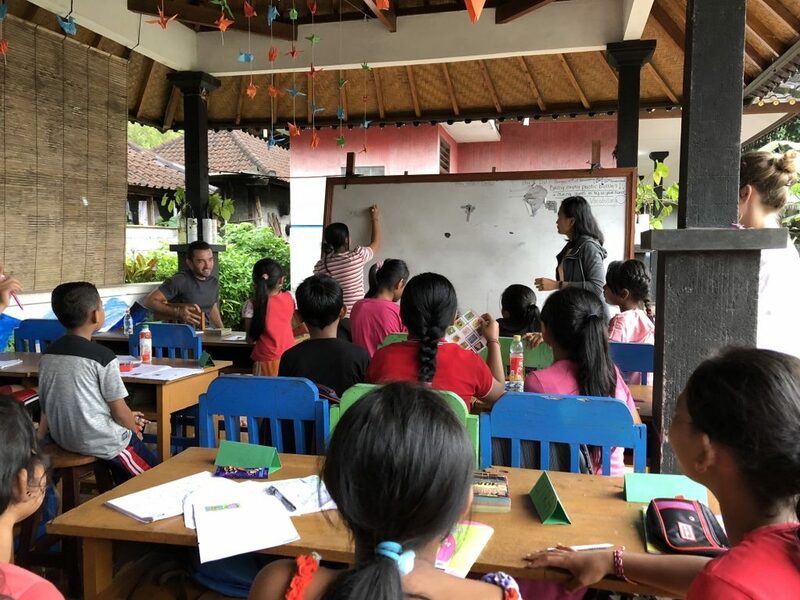 Most often I let the volunteers lead the class instruction, and I take on the role of backing them up and helping with translation between English and Indonesian. If there is no volunteer at the learning center, I handle all the children on my own. We have them arranged into four groups: A, B, C and D. When I teach alone, I can’t split them into smaller groups. Thus I teach Groups A and B in one classroom every Monday and Wednesday, and Groups C and D together every Tuesday and Thursday. When there are volunteers available, I can more easily teach the groups separately. Group A is the least skilled group, consisting of new English learners. The other groups have increasing language skills, with the most advanced students, who have studied English for several years, in Group D. The age range of the children is about 9-11 years old in Group A, 11-13 years old in Group B, 12-15 years old in Group C, and 14-15 years old in Group D. We usually enroll new children at our learning center in July because that is when the new term at Indonesian schools begins. My responsibilities as the primary teacher at the learning center include checking attendance every class, planning a theme and lesson schedule every month, making a lesson report at the end of the month, and teaching English about one and a half hours four times per week. It is also my task to introduce the children to new volunteers before the volunteers start their program. For new volunteers, I always explain about our student groups and their schedule. I also provide an overview about what we expect the children to learn, including specific learning goals. Next, we work together to set lesson plans for teaching during their stay. Sometimes I work with them to choose one group to teach. It is so interesting and challenging to work with people who are very different from you! It is so interesting and challenging to work with people who are very different from you! I really enjoy working with international volunteers because they offer me the chance to improve my English by communicating with them. Another advantage is that I make more and more international friends! I maintain contact with some volunteers long after they return to their home countries. Having contact with people from different countries is a wonderful experience. The children and I have the opportunity to learn the culture, customs, history, and geography of their countries. 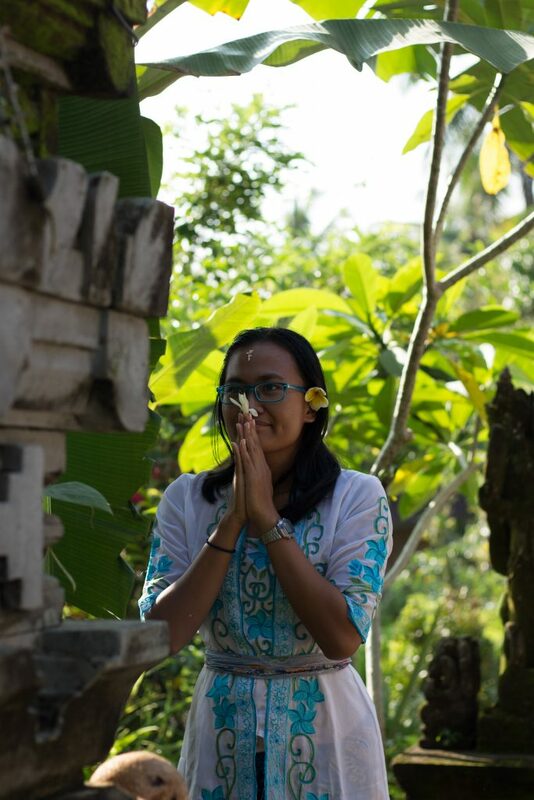 Also, most of the volunteers don’t want to miss learning Balinese culture! For instance, they want to learn about our traditional ceremonies and arts. 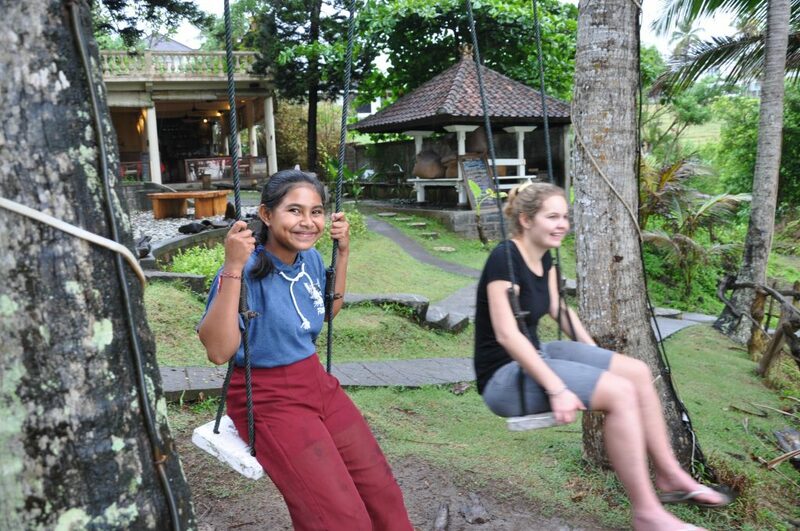 Some of them are working to learn Indonesian, our national language, as well as Balinese, our tribal language. Further, we are not only here to study and learn with the kids, but also to bond with them, building relationships, having fun, and sharing adventures. 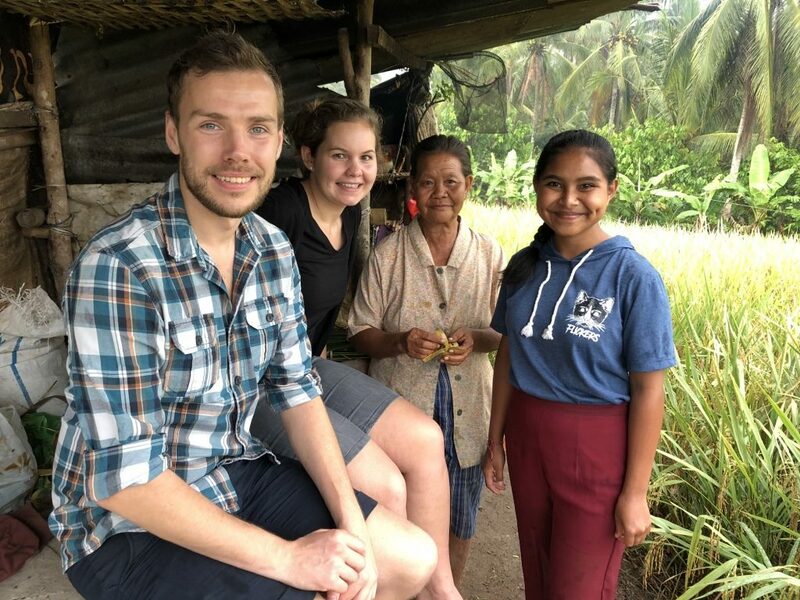 Sometimes we go to a paddy field with the volunteers on a recreational walk, and we also go to the nearby waterfall to play with students in nature, splashing water and joking around. 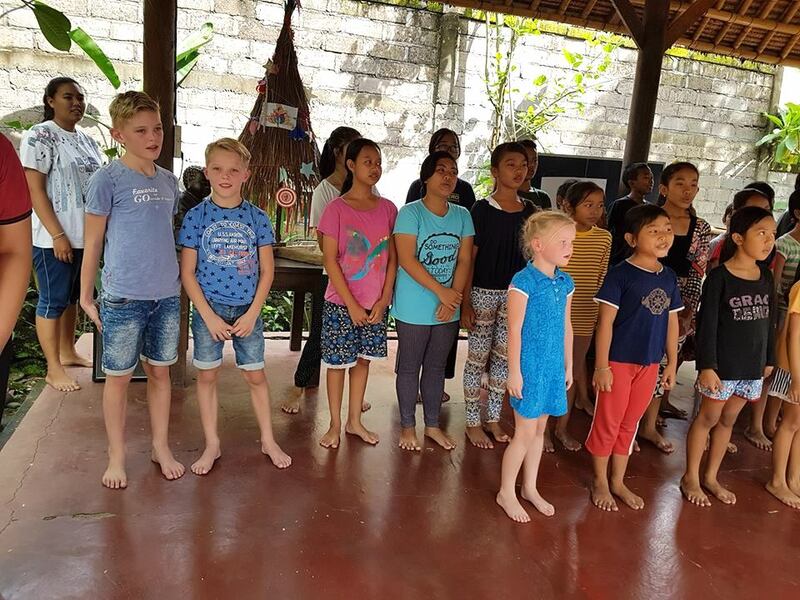 Our learning center is not a formal school with a highly structured program, so we can learn in various fun ways and focus more on character building with the children. Beyond teaching English, I also have tried teaching yoga to the children alongside volunteers who love yoga. It is quite relaxing to do yoga and have a short period of meditation afterward. Alternatively, some children practice Karate after class and I join them at the dojo. At one point we had volunteers from The Netherlands and Germany who also joined Karate practice with the kids at our village dojo. I love learning language, and my study of English did not stop when I became an English teacher. I keep practicing English, and also trying to learn languages such as French and German from native speakers who come as volunteers. Being a teacher also helps me to learn the art of teaching, and develop my skills in pedagogy. I believe providing education to others makes one become richer. One cannot go broke from sharing one’s knowledge! One of my favorite quotations is from Ludwig von Wittgenstein, who said “The limits of my language mean the limits of my world.” I feel proud to be helping young people expand their worlds! 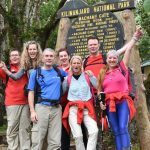 Gill Rijnenberg (founder WINS Foundation), Tanja Bour (board member), Antoinette Peters (VIP International), Cherie Leijer (Treasurer), Tuty Kaswari (Treasurer), Harvey de la Rambelje (board member), Tamara Rijnenberg (chair of the board). Tamara Rijnenberg will pass on the chairmanship to Harvey de la Rambelje on 1 January 2018, who joined the WINS NL team in 2016. 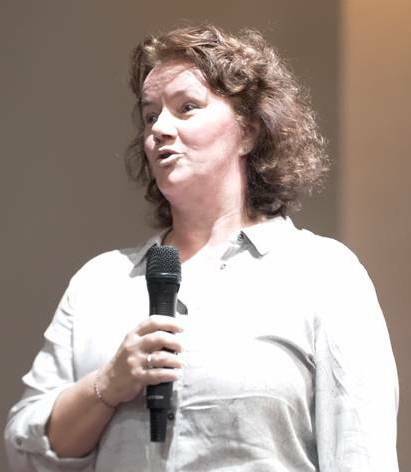 Tamara took on the role of chairman ad interim in early 2015 from Wouter Cosaert. She will fulfill the role of secretary again, which Cherie Leijer temporarily took on. 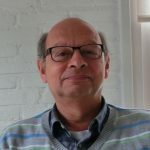 Because of his short lines with all WINS entities, Gill Rijnenberg – founder of the WINS Foundation – rejoined the board earlier this year, so that the team can work on the various projects in a more focused and effective way. Tanja Bour joined as member of the board earlier this year, with the focus being on children with a physical and / or mental disability (“special needs children”). Almost all WINS board members regularly visit the Learning Centers in Indonesia. They do this in their free time and entirely at their own expense. I am Harvey de la Rambelje, I was born in (D) jakarta where I grew up to my 7th year. In 1959 we went to the Netherlands; the political situation made that necessary. It marked the end of a colonial period, which was heavy and painful for the local population, especially when I look back at the historical consciousness of today. I am 65 years old, I am married to Anja. We have three daughters (Esther, Natascha are twins and Mariska) and 5 grandchildren (Abel, Faye, Jolie, Lola and Jules). In my working life I was, among other things, a consultant in the field of personnel, organization and consultation matters. I have been active in dismissal, career and coaching work, development assessments, etc. In addition, for nine years (until 1 November 2017) I have been vice-chairman of the Supervisory Board of Nusantara, a culture-specific healthcare institution for people with an Indian-Moluccan background. In my spare time I like to play badminton and tennis, go to movies and museums, love music and reading, not to mention grandchildren fit together with Anja! In addition, since 1 year I have been a volunteer at the VPTZ (Volunteers Palliative Terminal Care). In 2010 I visited the Far East for the first time since 1959 and went to Bali with a company that was also connected to the Nusantara Supervisory Board. During our stay we went to the learning center of WINS in Bedulu. I was greatly impressed and touched by the joy and curiosity of the children and the enthusiastic way in which the volunteers fulfilled their role. At that moment my good ‘old’ friend Antoinette Peters had long been busy putting volunteers on the basis of their talents, experience and skills for this beautiful work. In the middle of 2015, Antoinette Peters (VIP International) asked me if I was interested in joining the board of WINS, because the previous chairman (Wouter Cosaert) would leave, there was a need for a new board member. I knew WINS from Bedulu and was especially enthusiastic about the WINS philosophy (not leaders but responsibility) and the valuable educational work alongside the other activities. After a meeting with Wouter and Tamara (our current chairman) we came to the conclusion that I would go on board for 1 year to evaluate afterwards. But things always go differently and Tamara, supported by the other members, asked me to want to be chairman. I had to think about that, of course I was honored, but also realized the responsibility. Meanwhile Gill has returned as a board member. With the experience, knowledge, drive and persuasiveness of him and the other board members (Tamara, Cherie, Tuty and Tanja) I dare to do it and have said yes. I am fully confident! I have experienced how Tamara fulfilled her role as chairman with compassion and love for the children, many thanks for that! And of course a lot of thanks to the sponsors, who lay the financial foundation to make WINS possible at all. I hope when the time comes to meet all the people involved who realize the activities in the learning centers with so much love and affection for the children. I am Tanja Bour. In 2009 I visited Yayasan Widya Guna for the first time in Bedulu and I was immediately seized by the positive energy, the super sweet and friendly people and the great children. I felt: this place, these people, these children and I are forever connected. Since then, every trip to the east in Bali starts with a visit to the yayasan. And since two years I am also active as a volunteer for the special needs children: the children with an intellectual and / or physical disability. Together with these very special children, my life has changed forever. For me, the yayasan is “a labor of love” and I want nothing more than to be there and work step by step towards a better future together with the staff and children. When asked if I wanted to join the board of WINS, I said yes. For working together with all those people who do so much good from their hearts for the children in Indonesia, I consider a privilege. I also look forward to all the beautiful things that are yet to happen, such as the realization of an aqua therapy room for the special needs children, a professional file for each child, more structured specialist care such as adjusting diet, physiotherapy, etc. All things that will contribute to a better well-being of both the kids and their families. Last summer I went to Yayasan Widya Guna for the second time via WINS in Bedulu in Bali. Who am I? 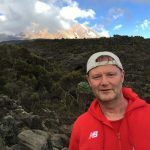 My name is Jelle Vogels, Pediatric physiotherapist in Amsterdam new-west. In 2014 I became acquainted with the WINS foundation during the Duvelloop in Haarlem. 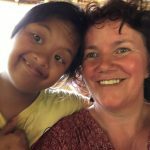 Two years later I went to Indonesia to volunteer with the “special needs kids”, a group of 25 mentally and / or physically handicapped children. 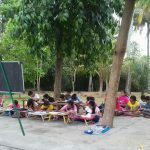 Besides the special needs kids, in the afternoon almost 100 children from the village come for extra English lessons. Because of these extra lessons and sponsorship, more and more of these children can study. Last summer, one of these children graduated as a physiotherapist. She has been working full-time at the school for half a year and treats wheelchair-bound children there. This was the trigger for me to decide to go back this year. Collaborate with a local physiotherapist, a gift experience, but possibly also with a sustainable effect. Wednesday night, July 12, I arrived in Bedulu. Tired of the journey, but full of tension for the next morning. Would the children still recognize, how would they go and what has the new physical therapist already done? These questions were answered in one fell swoop when I arrived at the school in the morning. With some children a look of recognition, but with all children a happy smile and many loving hugs. Not much later happened something I had not seen before, during the morning dance wheelchair children were taken out of their seats. One danced leaning against a pole and the other balanced on her knees. I soon realized that this Balinese physiotherapist did not like Bali-time (relax, maybe tomorrow, maybe later) and that seemed to be paying off. The three weeks after that have flown, but in a quick train I have done a lot with this young physiotherapist. Together we went to treat the children and we tried out new exercises. We have created digital treatment files for all children, so we can still collaborate on reporting from a distance and I can help with the preparation of treatment plans where necessary. The school has a place in my heart and if I get the chance, I will definitely go back again. 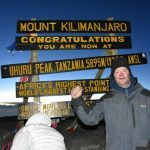 Sponsor Jan Everts of websitedienstverlening.nl has achieved an extraordinary performance: he climbed the Kilimanjaro in Tanzania for WINS! With this he raised no less than € 4.100, – for WINS. We can do so much great work with this big donation. 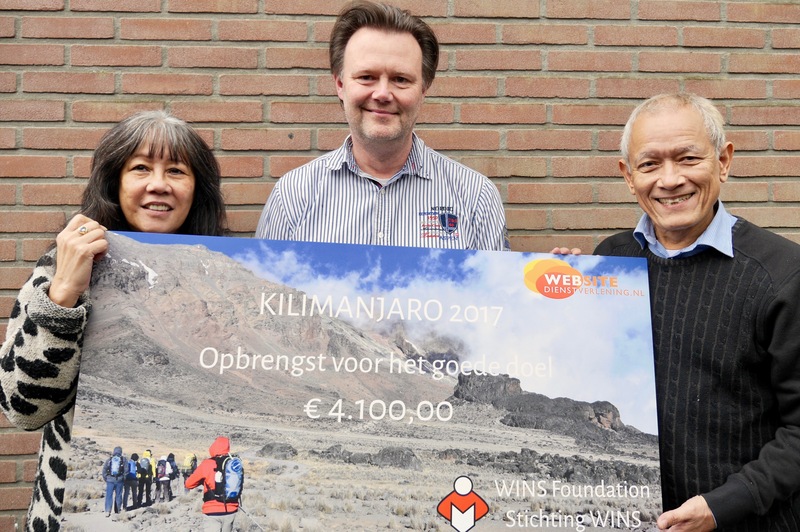 His donation will be used to build and decorate a classroom for the new WINS Learning Center Gunari Kumara in Sukawati, Bali. There the children still have lessons in the open air, but soon there will be a beautiful classroom there thanks to the special efforts of Jan!